Follow the author’s riveting journey and her search for answers to her mystery on the Nile. 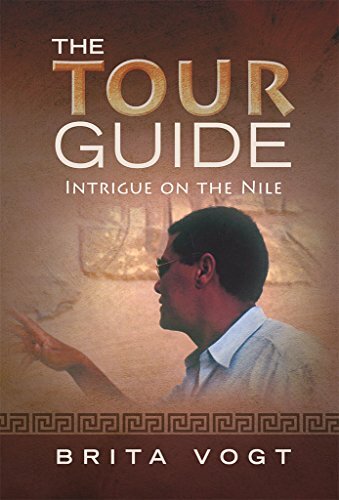 Best Seller Publishing announces the release of Brita Vogt’s new book, “The Tour Guide: Intrigue on the Nile.” It will be available for free download in the Amazon Kindle Store on June 12th. Brita then attempts to build a new business in the USA with Abdul’s employer, the Egyptian tour company Cataract… Unwittingly, she has now become involved with a criminal organization whose scope and true nature are unknown. Her quest for the truth about Cataract and Abdul’s true identity puts her through terrifying experiences. She is date-raped by Abdul and stalked by unknown strangers. The FBI, U.S., and Egyptian government officials to whom she turns for help agree to do so at first, but then shut the door on her. As the mysteries mount, Abdul becomes more and more secretive. After eight years of his often bizarre behavior, Brita decides to break off all contact. Abdul pleads to give him “a few more months.” Brita makes one last attempt to meet him in Germany but that falls through. She writes him a letter with her address as the sender but it is returned. She writes him a letter from Germany using her aunt’s name and address as the sender. That letter he receives. Through her close friend Hans, who lives in Germany and knows Abdul, Brita then decides to resend the previous letters she had sent to Abdul that were returned to her in the U.S. Hans tells Brita that he will call Abdul and speak with him. However, shortly thereafter, Hans informs Brita by e-mail that he does not want anything to do with her or Abdul because he fears for his and his wife’s life and ends contact. Abdul then also informs Brita that he is breaking off the relationship with her because he is afraid and does not want to hear from her again. “This is a captivating piece. Page by page it draws you more and more into the fascinating world of intrigue and mystery with no end in sight. It leaves you with a lot of unanswered question and the longing for a conclusion. Would make a great cliffhanger movie!” – Mike K.
Brita Vogt was born and raised in Germany and came to the U.S. as a college student. She has alternately made her home in California, where she graduated from California State University in Hayward and in Germany and Connecticut while pursuing a career in international business. Her work and private travels have taken her to many parts of the globe. She now resides in Phoenix, Arizona.